← SATURDAY, MAY 30 DEPARTURE! As I walked down the cobblestone streets, it finally hit me that I was in Prague. 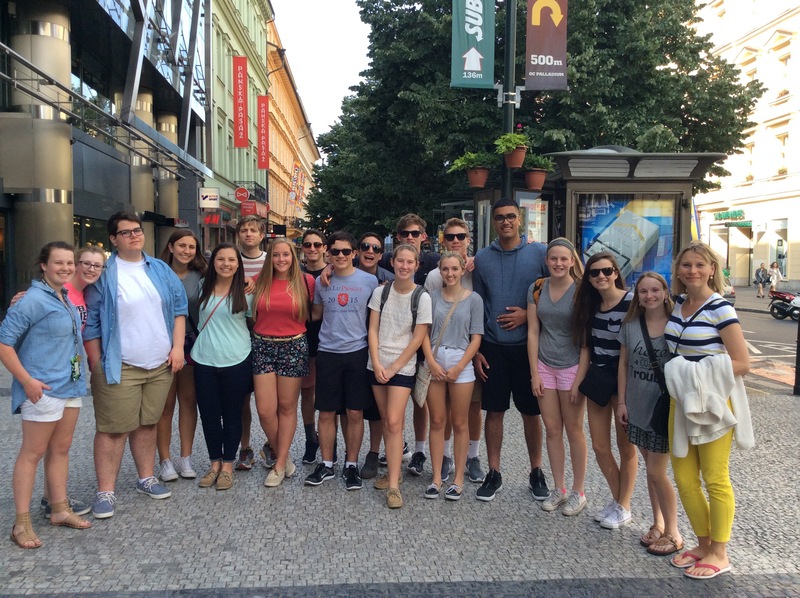 After a long yet fun flight, we all made it safely to Prague! Once we got settled in our hotel, we headed out to a large shopping mall. Here we explored and had a delicious dinner along with gelato. One thing I quickly realized about the culture is the vibe on the streets. I really enjoy walking by and hearing the music or seeing the children learn to make large bubbles. There is a liveliness to the city. One difference is the transportation. It is very easy to get around the city by either walking, riding a bus, taking a tram, or cruising on the metro. Although I have only been here for a day, I can see that the ease of transportation helps make the city great! I am really looking forward to the day tomorrow as we dive into the historical background of Prague during World War II.